Rice has been a closely guarded beauty secret of women in Asian countries like China and Japan since ancient times. From scrubbing their skin with rice flour to washing their hair with rice water, Asian women have put this fine grain to multiple uses for health and beauty. Now, you can reap the benefits, too. 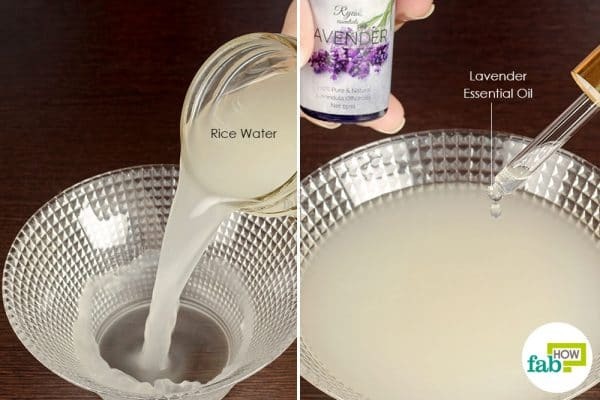 It’s very easy to make your own rice water, and it’s one of the most affordable DIY beauty products for beautiful skin and hair. Rice contains high amounts of vitamins B, C and E. It also contains water-soluble minerals, such as inositol, which helps repair skin damage, and ferulic acid, which acts as a powerful antioxidant and helps keep your skin and hair healthy. Additionally, fermented rice water is especially good for your hair, as its pH level is similar to that of your scalp. Using fermented rice water on your hair and scalp stimulates the secretion of a compound called pitera, which helps promote the growth and regeneration of cells. Read on to learn six different ways that you can use rice water for glowing skin and shiny hair. Rice water contains allantoin that has anti-inflammatory properties, which makes it a great natural toner for your skin. Rice water also promotes and stimulates cell growth and regeneration. You can apply this milky-white liquid directly on your skin to tighten it and reduce the appearance of pores. 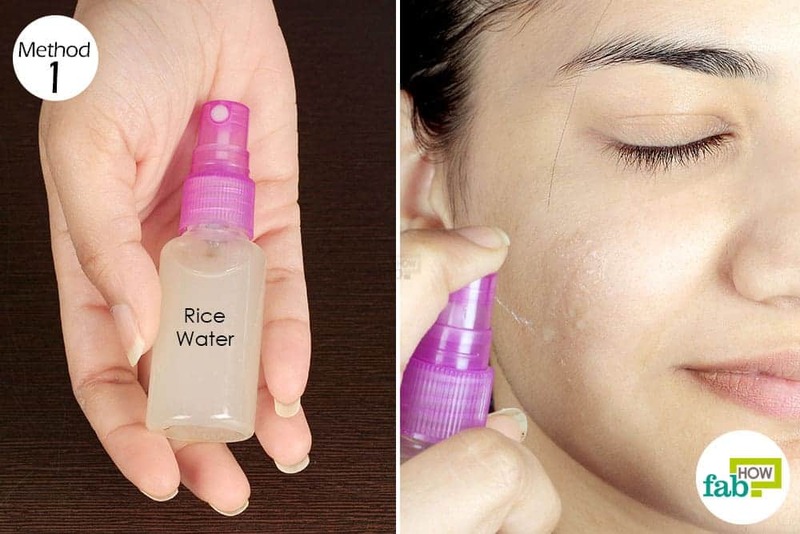 Store rice water in the refrigerator in a small spray bottle and use it as a facial toner. Let it air-dry and wash it off after 10 to 15 minutes. Applying it daily on a regular basis will leave you with smooth, soft and naturally radiant skin. You can use rice water to cleanse your face as a part of your daily skin care routine. 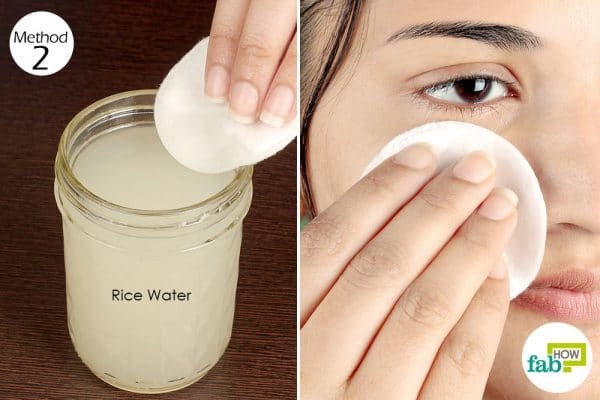 Dip a soft, cotton pad in rice water. Gently massage your skin using the saturated cotton pad. Use the cotton pad to gently wipe off all the dirt and impurities from your skin. Let it air-dry to ensure that your skin absorbs all the nutrients and minerals contained in the rice water. 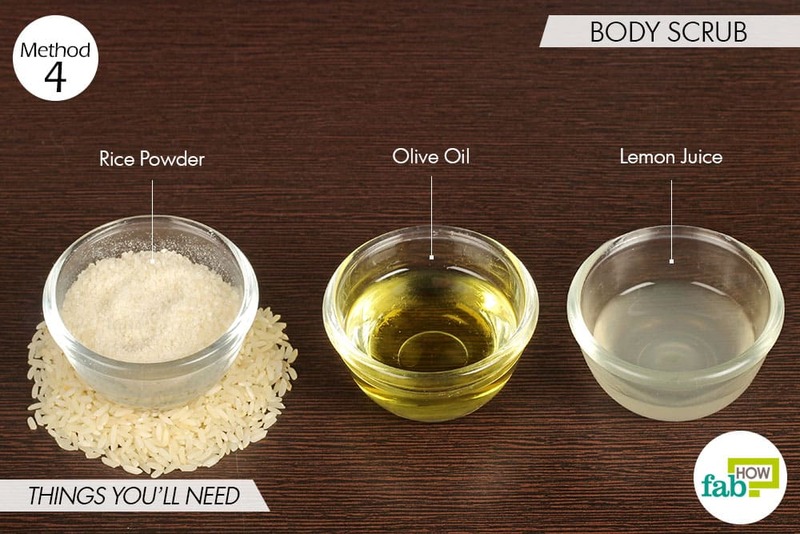 Using rice water for cleansing on a daily basis will leave you with soft, tight and glowing skin. Rice water acts as an astringent and can be extremely useful in curing acne breakouts. The starch components in rice water also help in alleviating symptoms of eczema or atopic dermatitis. Pour some rice water into a small bowl. 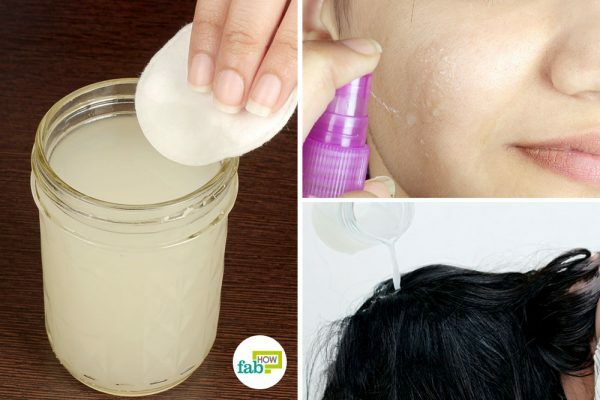 Soak a cotton ball in it and apply it directly on the affected skin. Let it air-dry, so that the skin can absorb all the nutrients. To treat an acne breakout, reapply rice water on the affected areas 3 or 4 times a day until the skin is cleared up. 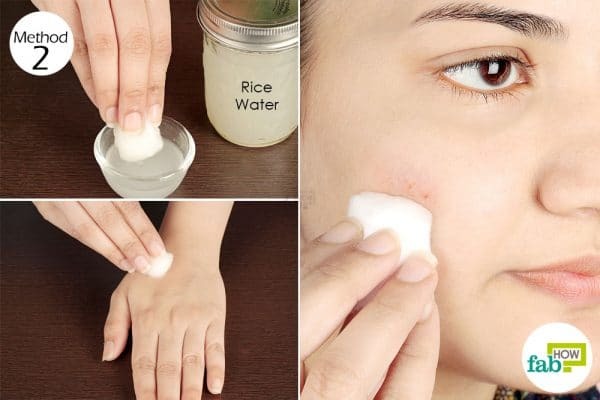 To improve symptoms of eczema or atopic dermatitis, apply rice water directly on your skin or take a 15-minute bath with rice water each day. To maintain healthy skin, apply rice water once daily. 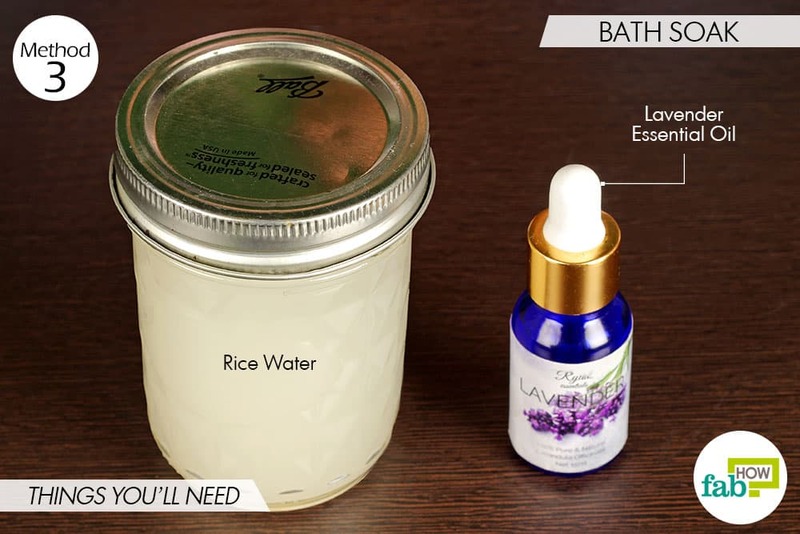 You can also use rice water for a relaxing DIY spa bath at home. Soaking in rice and lavender-infused bathwater will ease any tension and anxiety, while your skin slowly absorbs the nutrients to become soft and radiant. Get your jar of stored rice water from the fridge. Pour about 1 cup into a bowl. Add 5 to 10 drops of lavender essential oil, or any other favorite essential oil. Add this wonderful concoction to your warm bathwater. Soak in the lavender-scented bath for 30 to 45 minutes. Relax and completely let yourself go. You can indulge your senses and beat skin damage and stress by taking a rice water and lavender-infused bath once a week. When you are done making rice water, don’t throw away the rice. Instead, you can use it to make a nourishing scrub for your body. 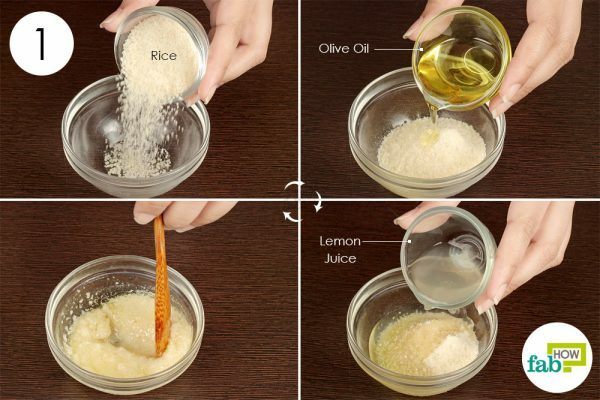 In fact, you can add additional ingredients like olive oil and lemon juice for well-moisturized and smooth, blemish-free skin. Put 1 tablespoon of ground rice in a mixing bowl. Add 2 teaspoons of lemon juice as well. Mix well to blend all the ingredients thoroughly. 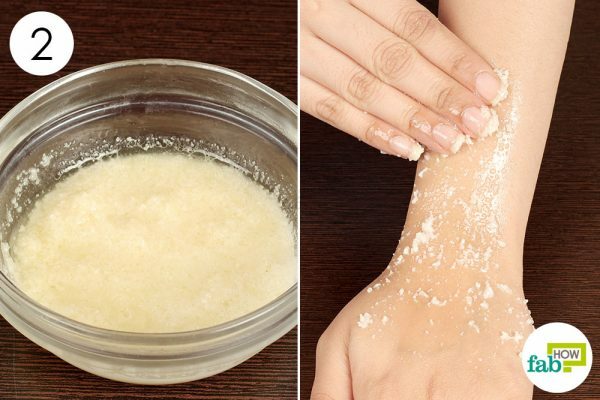 Scoop up some of the scrub with your fingers and softly rub it on your skin for 5 to 10 minutes. You can use this scrub to gently exfoliate and lighten your skin once every week or 2 weeks. The proteins present in rice water help repair and strengthen your hair, making it shiny, more elastic and stretchable. Mix 1 cup of rice water with 2 cups of water to dilute the rice water. Shampoo your hair and rinse thoroughly with water to remove all the suds. 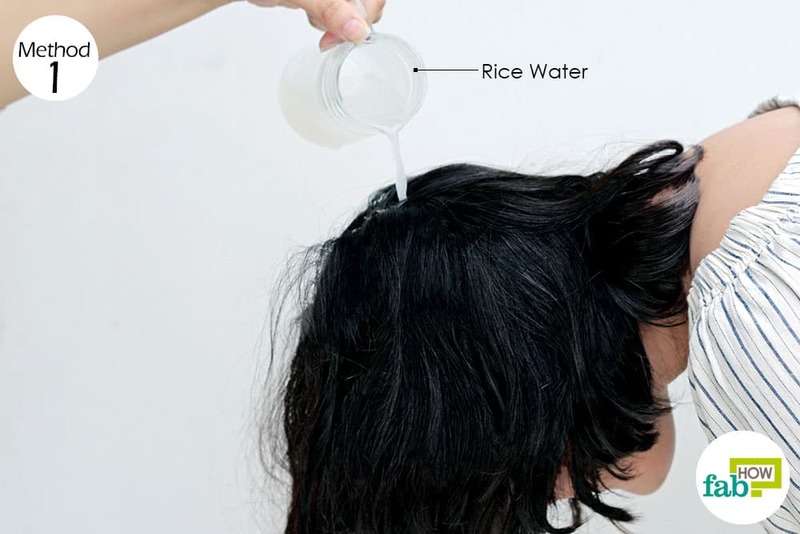 Use the diluted rice water for your final hair rinse. You can use rice water hair rinse 1 or 2 times a week. You will notice the improved health and appearance of your hair after about 1 month of regular use. There are various ways to make rice water – with cooked rice, without cooking the rice or by fermenting it for increased benefits. Since everyone is different, you can determine the best option for yourself via trial-and-error. You can use white, jasmine or even brown rice to make your rice water. Again, simply choose which is best for you. You can also mix 1 cup of rice water with 3 to 5 drops of essential oils like lavender or rosemary and use it as a conditioner. Leave it on your hair for 5 to 10 minutes, then rinse it out with water. Thank you all for your comment. 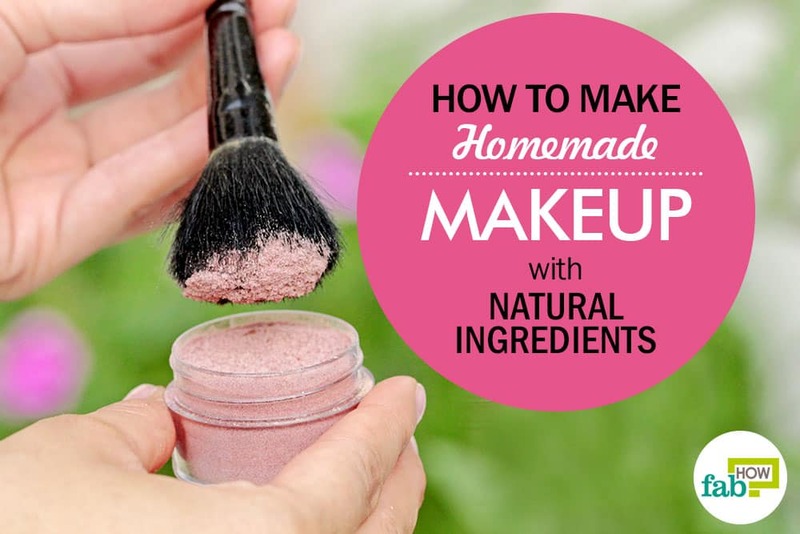 Natural remedies are always better than chemical based cosmetics. We hope we were able to put up an informative article for our users. We understand your concern but that won’t be a problem. 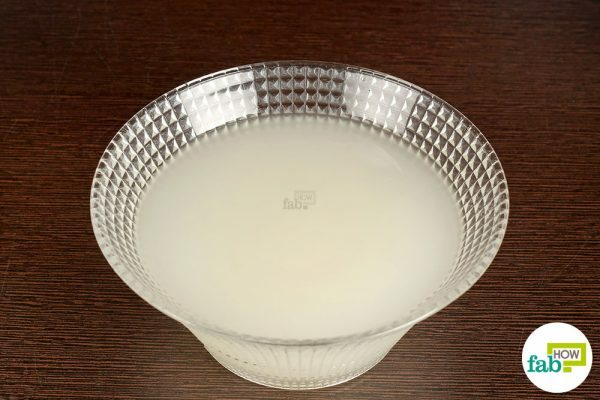 Rice water is a very popular treatment for many Asian households and now popular across the globe. Do try for yourself and share your experience with us.